Two North Face 50ms: a 75-minute course PR in San Francisco and a 3rd place age-group finish in D.C.
Antarctica Marathon: Yep, that was this year too! 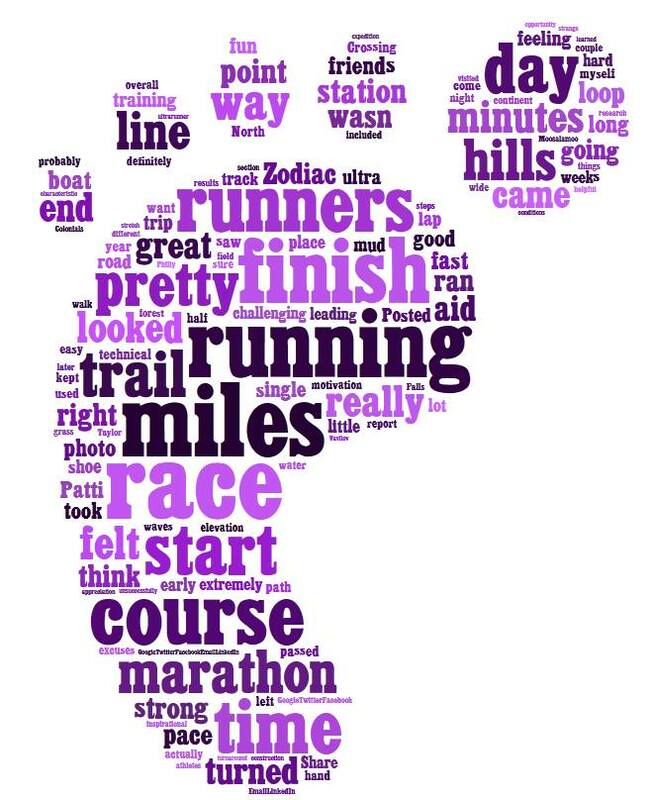 Here’s a cool word cloud I made from all of my running posts from 2015. Thanks for a great year, 2015! This entry was tagged inspiration, motivation, recap, running, year in review. Bookmark the permalink.